Dee Ford traded. Justin Houston cut. What is K.C. 's plan to fix the D? If the Chiefs have a plan to fix last season's subpar defense they haven't revealed it yet and just got rid of their two most productive players. After adding Tyrann Mathieu, the Chiefs continued to remake a struggling secondary by bringing in the former Packer. The veteran RB was a godsend in 2018, but his 2019 value in Washington could be tough to gauge with Derrius Guice expected to return this fall. 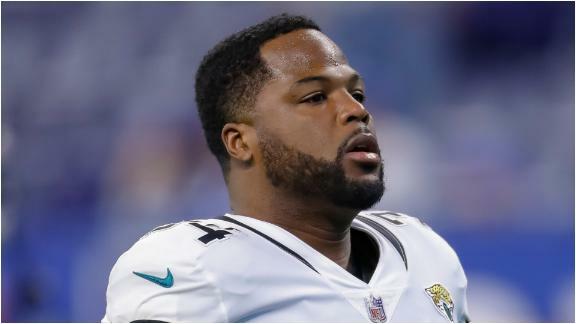 Despite its many roster holes, Jacksonville must make sure it finds a backfield complement who can carry the load if its unreliable starter falters. The physical tailback's production has dropped off because of various injuries since 2015, but his style fits Jacksonville's power-running attack. Significant roster changes await Jacksonville after an awful 2018, and blowing up a stagnant offense will likely be the top offseason priority. After a 3-1 start the wheels came off for the Jaguars, who have to find a QB and playmakers on offense with little salary-cap space to maneuver. The Texans clinched their third division title in four years and at least the No. 3 seed for the playoffs. After a frustrating season on and off the field, there are questions about the back's maturity, commitment, conditioning, behavior and production. With wholesale changes coming to the Jaguars' offense in the offseason, perhaps the only receiver who has earned a long-term role is Westbrook. Jacksonville plays in Tennessee on Thursday, but for a 4-8 team that is alive only mathematically, it's time to look ahead to a crucial offseason. The only flash to Browns rookie running back Nick Chubb is in his game, which is improving at a rapid rate under coordinator Freddie Kitchens. How should fantasy managers handle Fournette's suspension? Does Hyde surpass Yeldon with no Fournette?